Today we’re previewing some of the modern Chinese Coin style quilts featured in our “How New is Modern?” exhibition. 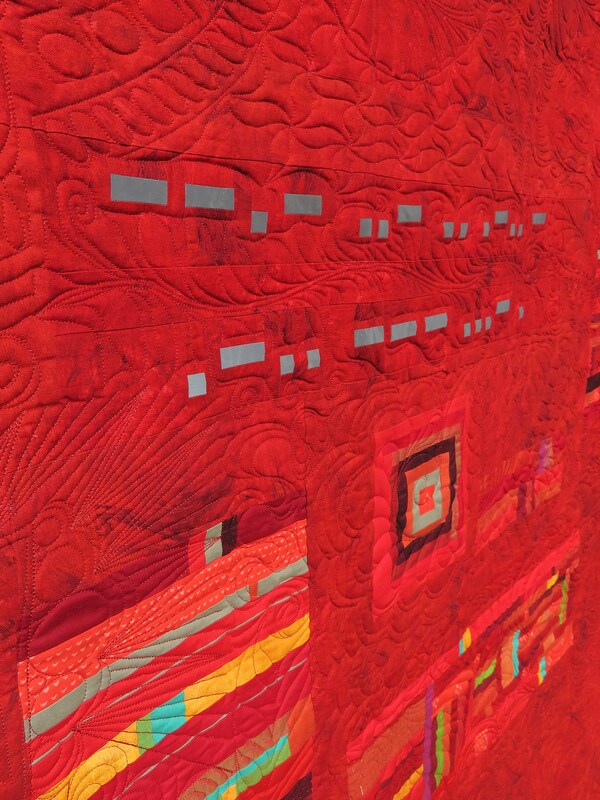 Our Chinese Coin inspiration quilt is the lush Red Velvet Carriage Robe (1899), shown above. 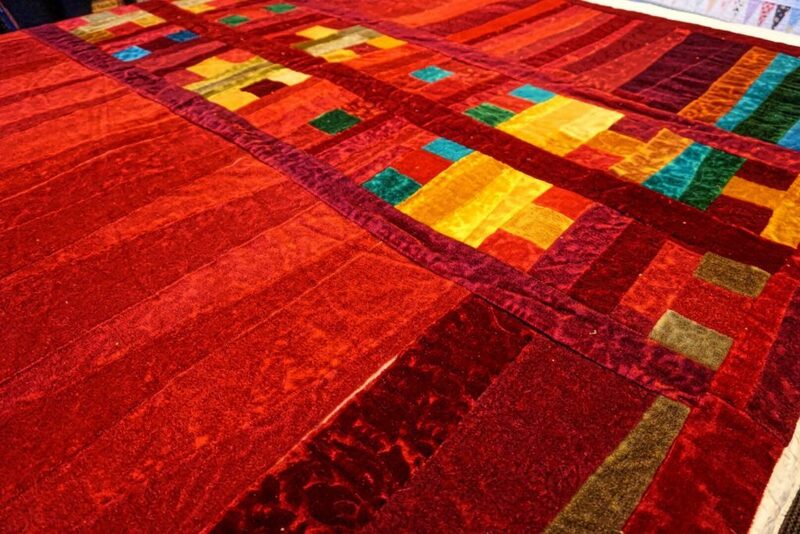 Judy Sanclaria’s “Red” echoes the jewel tones of the Red Velvet Carriage Robe. 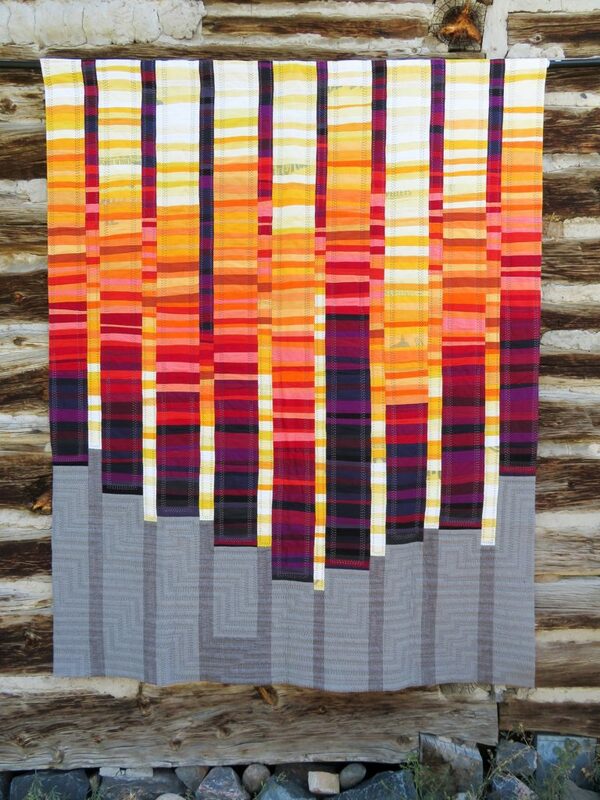 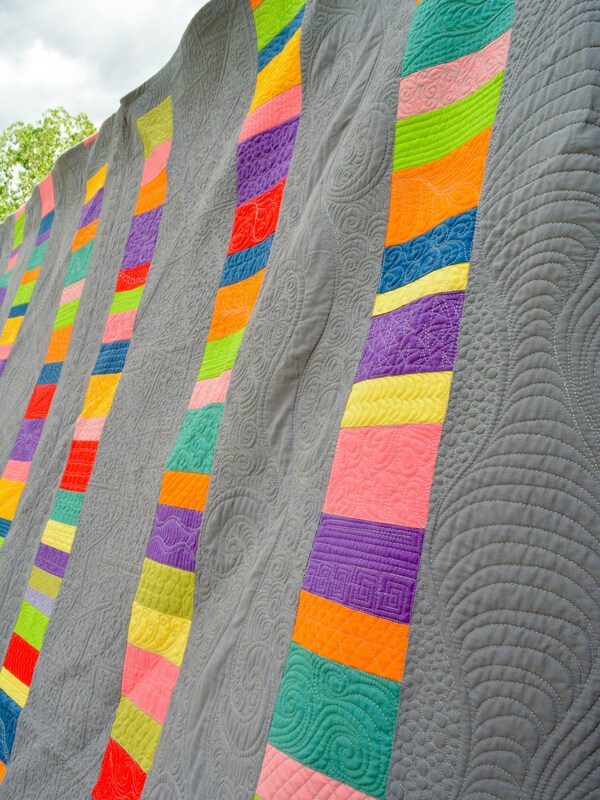 Dawna Sanders’ Modern Coins quilt employs a rich palette of modern colors and features custom quilting. 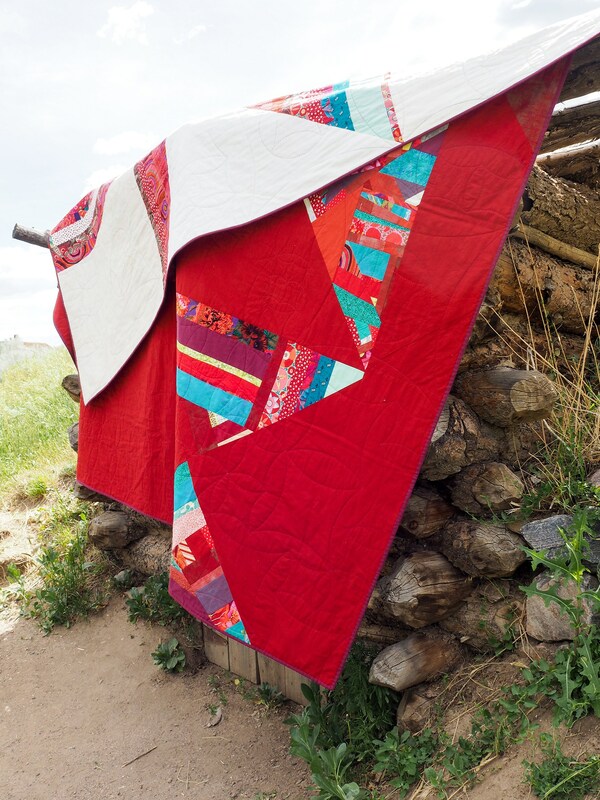 Erika Echols combines red and teal in her Red Velvet Broken Orange Peel quilt , which features Orange Peel-inspired quilting and finds inspiration from Broken Dishes designs.